Welcome to my blog, I’m Donyale Anise, and after much prompting from family and friends, I finally decided to launch Musings of a Stylista in 2012. After receiving my Bachelor’s of Arts degree in Broadcast Journalism, my career began as a producer for several public relations shows, then as a television news anchor and subsequently a radio disc jockey. Next, I found my way onto many a runway in Chicago modeling for a plethora of local designers who acted as catalysts to spawn my deep love relationship with the fashion industry. After many years on the runway, a very talented music producer, Jamie Principle, discovered me on the runway, invited me into his studio to make music, became my hero, as well as, the reason I developed my ear. In addition, he helped me to appreciate all music genres. I went on to work with several bands and producers over the next decade, then ventured into the television & film industry where I would work as a make-up artist, wardrobe and hair stylist for many years. I’ve been blessed with varied careers where I’ve had amazing times and have gleaned much! I’ve had the privilege of working side by side some of the most incredible artists, talent and everyday people who have imparted into my many crafts over the years. I have a great adoration for fashion, beauty, music, books, photography…most everything art related, it seems they all somehow merge together, which is the reason I’ve had difficulty over the years settling on one. I’ve come full circle back to my roots in writing and look forward to using my blog as a platform to share with you as I am inspired. Nevertheless, before any of the aforementioned, comes my deep faith in my relationship with Jesus Christ. I thank God for the giftings and talents He has imparted into my life, and will forever give Him the credit. Without Him I would never have had the opportunities to experience all I have both in my career and personally. Enjoy my musings, many thanx for stopping by and please be encouraged to post comments. I appreciate and respond to each, including those offering constructive criticism. Hi Ms Donyale, I think you’re an amazing person and have a great sense of style. I dare not question your recommedation for anything related to beauty and fashion. You are definitely a class act. Working on the set with you was awesome. Now that I know I’ve been bending my lashes instead of curling them, my next purchase will be the Shu Uemura lash curler. Thanks again for the beauty tip. It was also a great pleasure to work with you as well, you are an amazing actress, and I know you have a prosperous career ahead of you. Lol, I’m glad I could be intervention on behalf of your little lashes… you will definitely appreciate the Shu Uemura curler;)). This blog looks like fun and another opportunity for me to voice my thoughts. Look forward to meeting you someday and being interviewed as a fellow muse for the fella’s. Your reputation precedes you… I’d be delighted to have you featured on my blog some day soon, I surely don’t wish to leave the fellas out;)). Hello Fashion & Style Guru! Thank you for the nomination;) I appreciate the encouragement, and enjoy reading your blog very much. Do you write about your experiences? If not, do! Would you elaborate a bit more? I appreciate feedback very much… do you mean my experiences pertaining to fashion and beauty or in general? 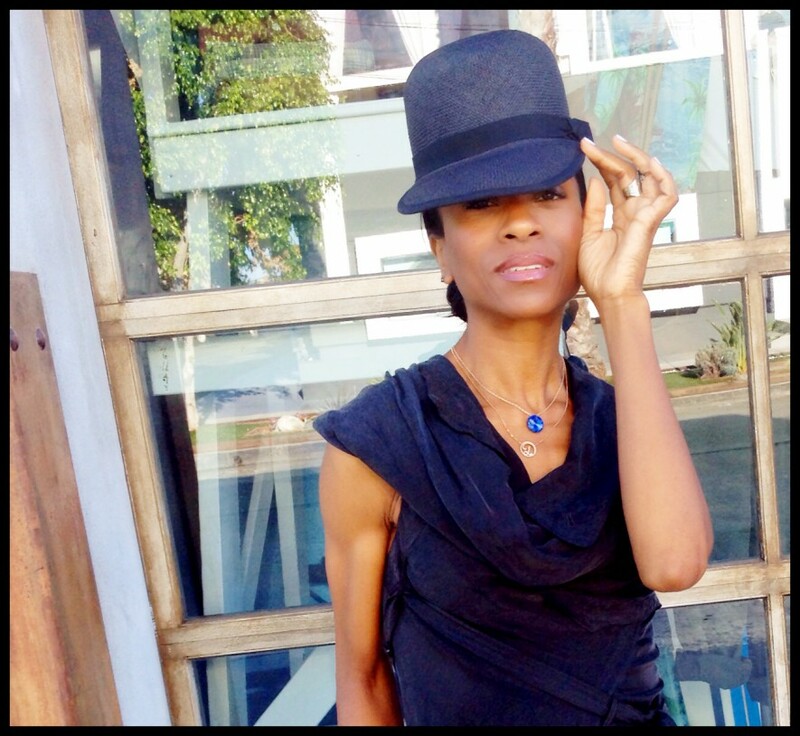 Donyale Anise your blog is as cool as your name ;-). I love it!! Thank you so much for the great encouragement! I appreciate it very much;)). Your blog is amazing and super cool. I adore your photography and writing. Keep up with great work, and let’s keep in touch. Perfect timing, I just had the chance to peruse your blog, and just as I figured, it is amazing! I look forward to experimenting in the kitchen, and so happy to have your blog to assist me;). We’ll surely keep in touch! Thanx! I appreciate your comment very much;). I love your postings. You LA girls are EVERYTHING to my eyeballs!!!! Thank you so much;)). I look forward to checking out your blog! OMGosh look who it is. I was clicking around and landed here like “I know her!!! !” Yay. You are gorgeous! This is Dayo 🙂 but Bekah and I blog together. Thanks. It’s one of my favourites. I was attempting to say incognito on the web but that ship has sailed. Lol…I thought leaving FB was my answer to remaining incognito…I have found it is an utterly futile attempt;). Cheers to inspiring others in our own little way…and being inspired! Thank you Nomzi, the pleasure is mine! Do you have a blog?